They currently live in the Dallas-Fort Worth Area. The benefit to having someone local is no travel cost, easier to meet, and less chance of something happening to them on the way to your wedding. Our couples in the recent past have loved working with them. 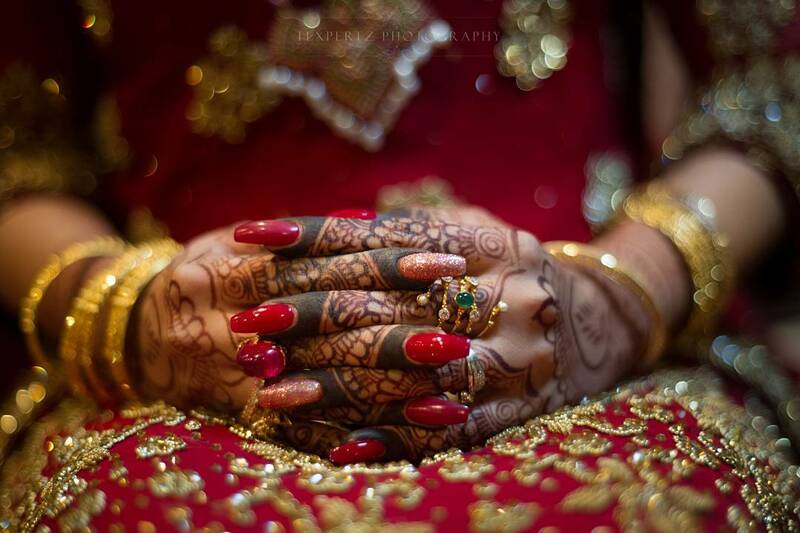 We only wanted to give you the best South Asian wedding Henna/Mehndi Artists in Dallas. The following Top 7 Indian Wedding Mehndi Artists in Dallas are ranked based on who we have worked most often with in the last few years. 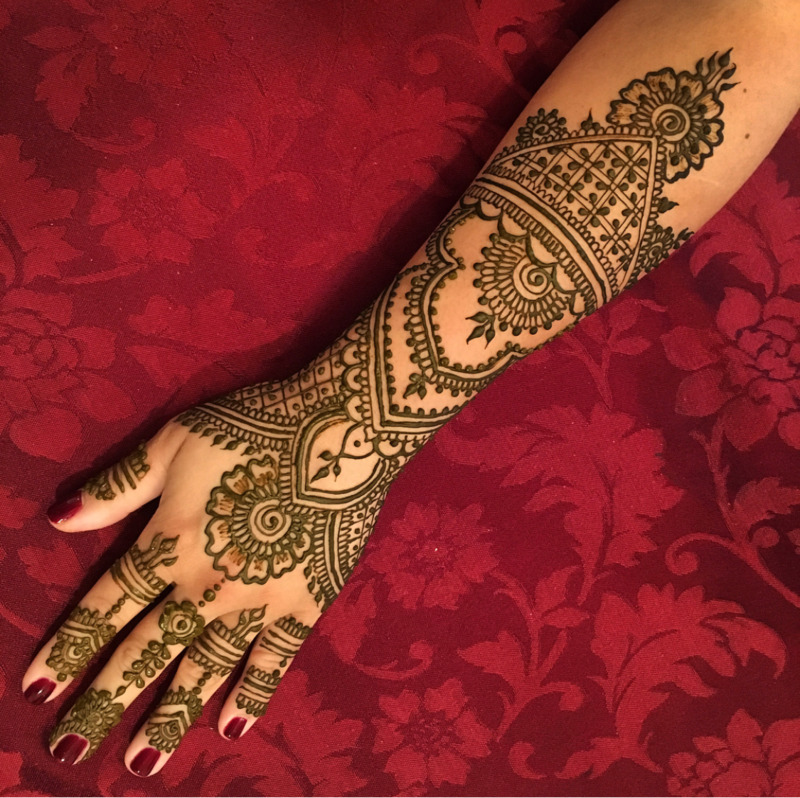 Samira is the owner and operator of Samira's Henna Designs. 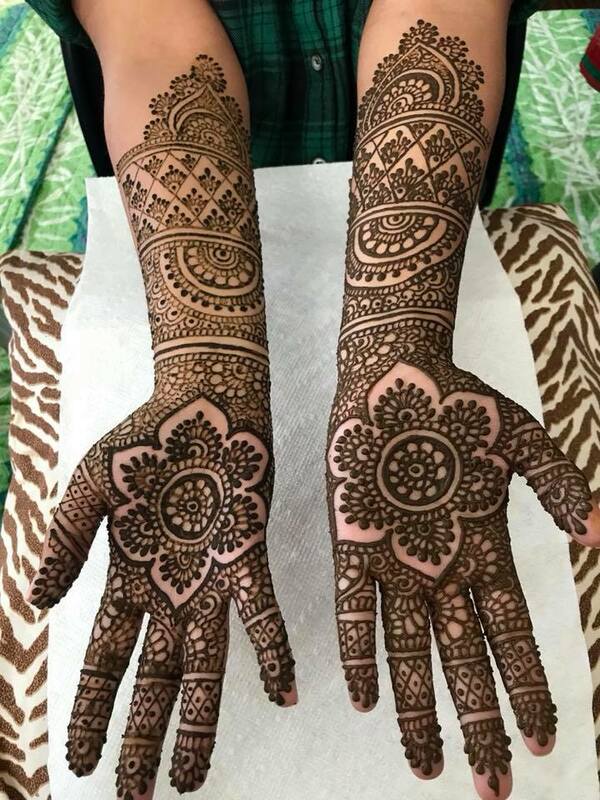 She has secured the first position on our Top 7 Indian Wedding Henna Artists in Dallas list. In the last few years, we have worked together the most often. As we sit here writing this blog it just so happens that we were together the last 3 weekends in a row. Her couples are split pretty evenly amongst Hindu (South & North Indian) and Muslim (Indian & Pakistani). She is also a Instagram Superstar with over 75k followers. This picture is from Vimmy and Nikhil wedding that we did together at Omni Frisco. If you are still looking for a venue check out our blog on the Top 22 Indian Wedding Venues in DFW. Fill out the form on this page and we will send you the contact information for everyone on this list. If you thought Meena's Mehndi was owned by someone named Meena, you would be wrong. Mehnaz is the name of the owner but she wanted to use a different name for the company. She is also the only business on this list to use Mehndi instead of Henna in the company name. 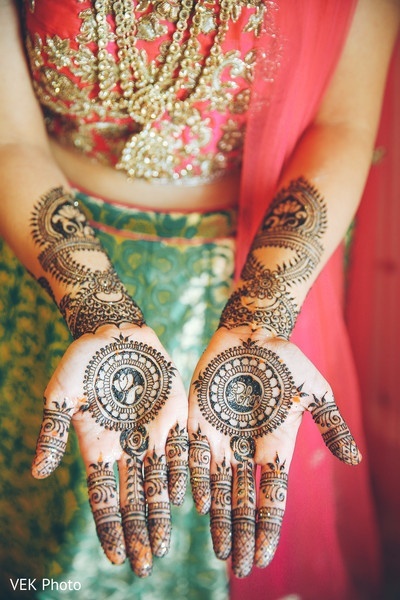 What is the difference between Mehndi and Henna? Nothing. They both mean the same thing. We have done many weddings together, and recently the weddings have been fusion couples. Neha & Matt are a fusion couple that got married at Omni Dallas in Downtown (picture below). Mehnaz has a lot of experience and deserves to be on the Top 7 Indian Wedding Henna Artists in Dallas list. 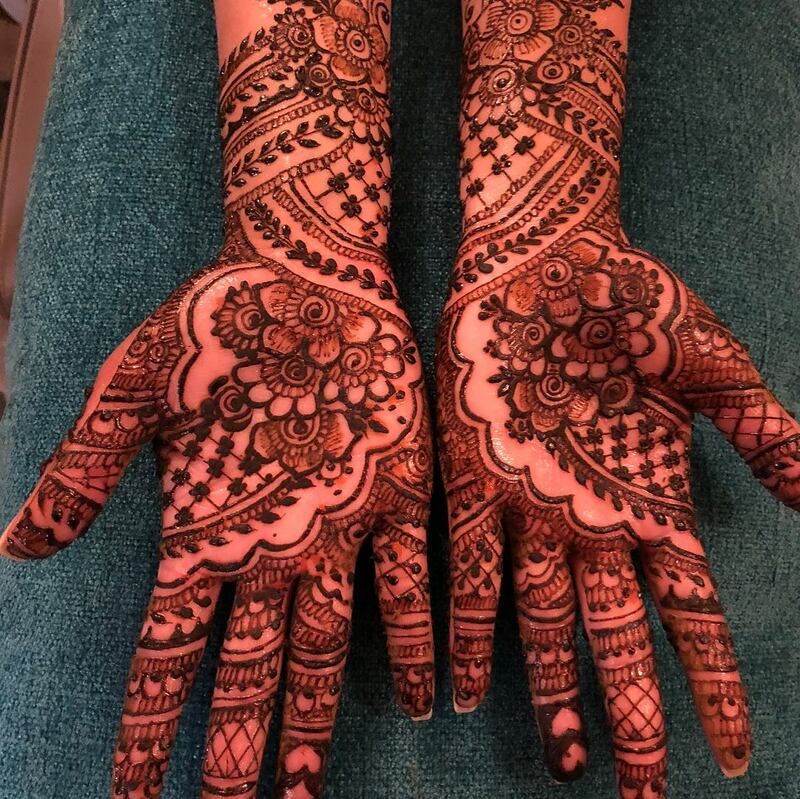 If you need a Henna Artist for your Indian Wedding, fill out the form on this page and we will send you everyone's phone number and email address. Here is our blog on Indian Wedding venues in Fort Worth. Zohra is the Owner of Henna by Zohra. She is a great Henna Artist. We have done weddings together in the past but haven't seen her as often recently. Her work is always consistent and has been that way for years. Here is a picture from Rashmi and Samuel's wedding at Magnolia Hotel. They have a lot of weddings there but not many South Asian weddings. The vendor team had to be just right for this couple. Find the perfect Photographer for your wedding on our blog. Henna by Alpa has made it to the 6th position on the Top 7 Indian Wedding Mehndi Artists in Dallas list. The owner Alpa is easy to work with and we have done weddings together. Check out the picture below to understand her style and she if she's perfect for you. We have created a one page contact sheet with all of the vendors on this blog. Fill out the form on this page with your name and email address and we will send it to you. Sanober's Henna is owned by, you guessed it, Sanober. 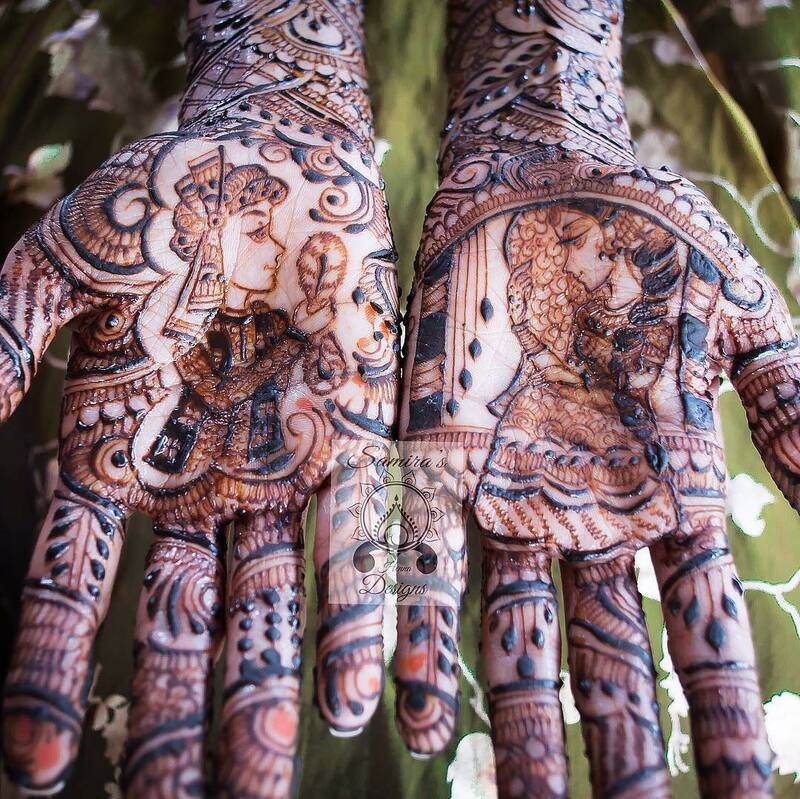 She takes the 7th and final spot on the Top 7 Indian Wedding Henna Artists in Dallas. 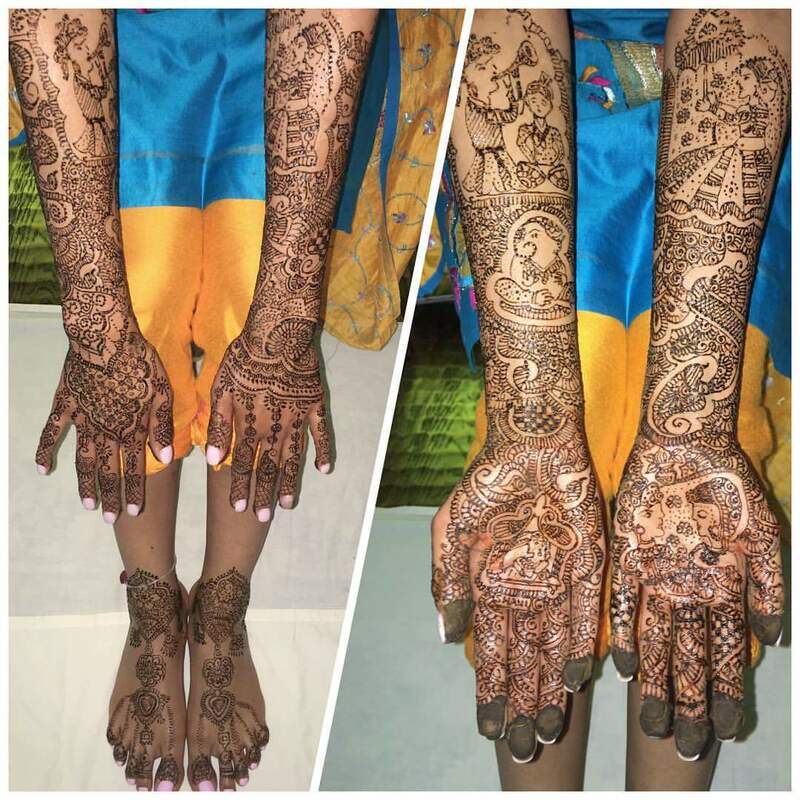 If you want a Henna Artist for your wedding, fill out the form on this site to get all of their email and phone numbers on one page. They usually get booked 3 months before the wedding date. A wedding is the happiest moment in your life and you should choose an Indian Wedding Henna Artist in Dallas that you love. Over our 24 years of bringing joy to thousands of couples, the DJ Riz Entertainment team has performed many times with everyone on the Top 7 Indian Wedding Mehndi Artist in Dallas list. Given these points, if you would like to talk about which South Asian wedding vendor you should select or how we can help you with your wedding, contacting us here.